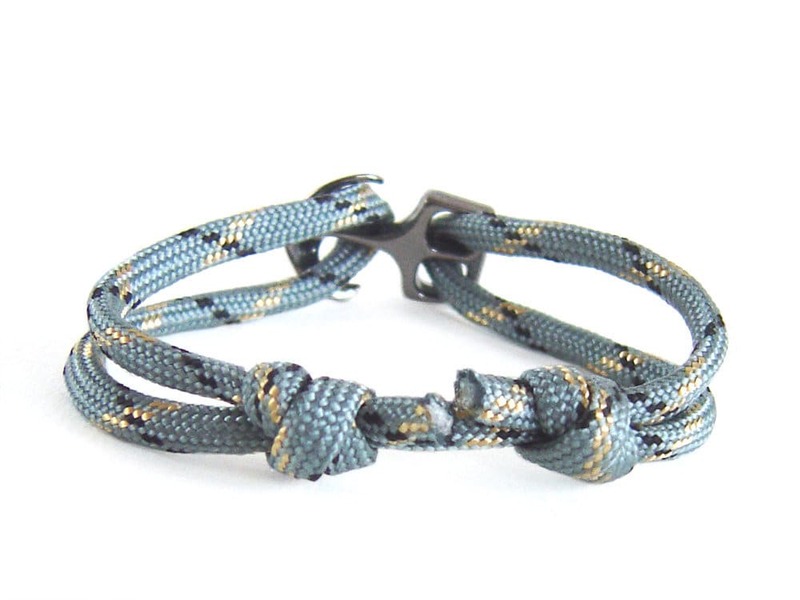 Paracord mens bracelet with anchor clasp in black (dark grey). 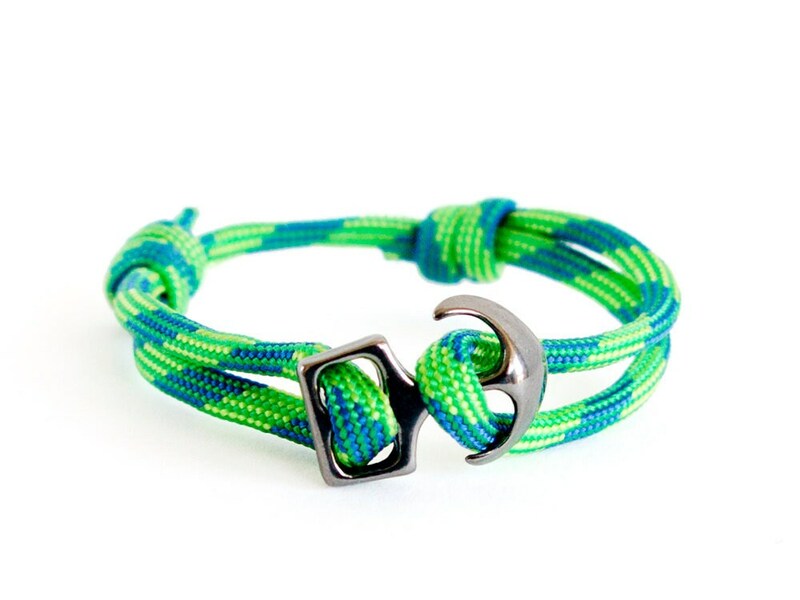 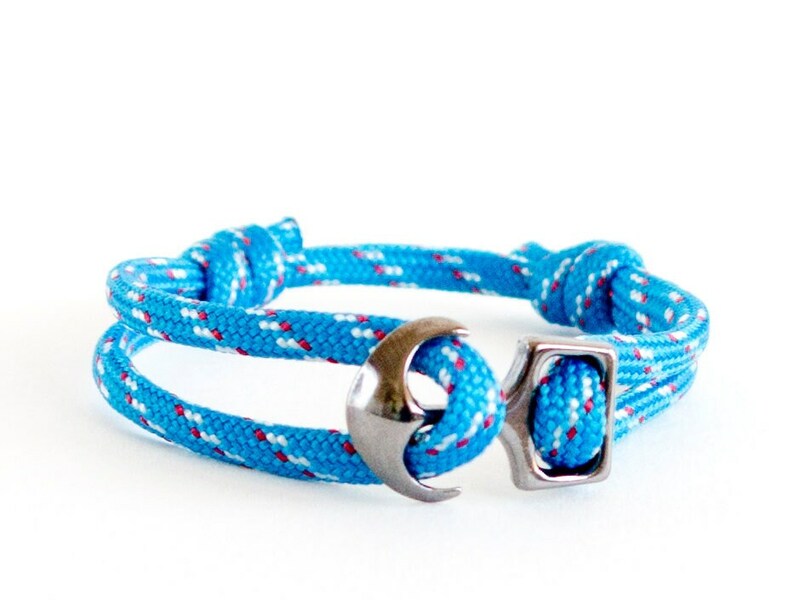 This mens jewelry anchor is adjustable and can be used as male bracelet anchor or women's accessory. 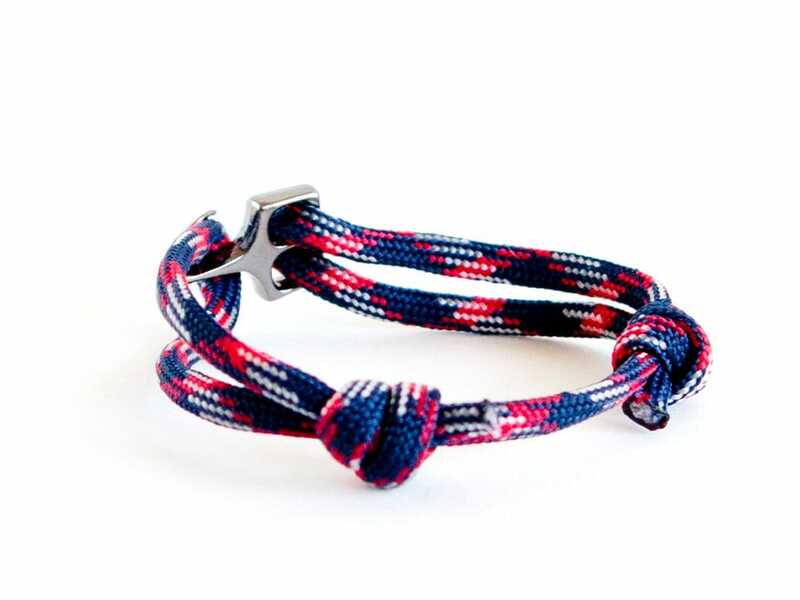 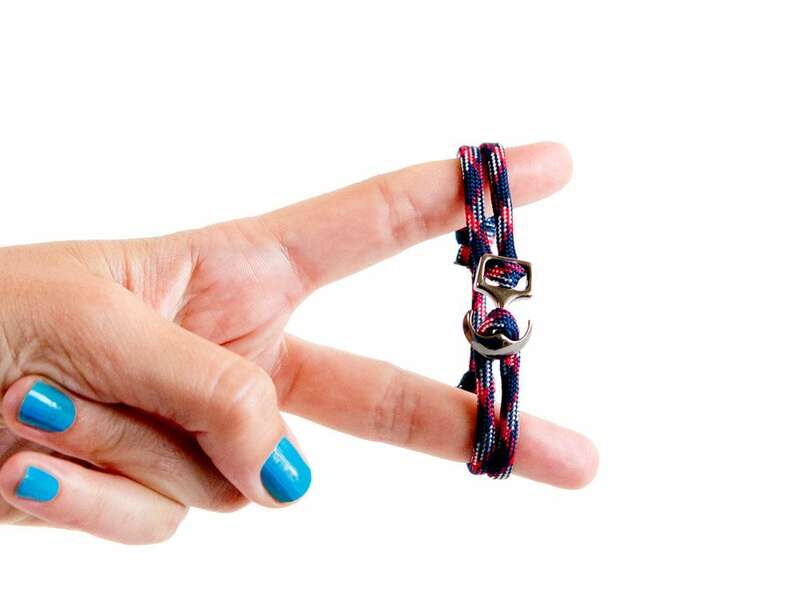 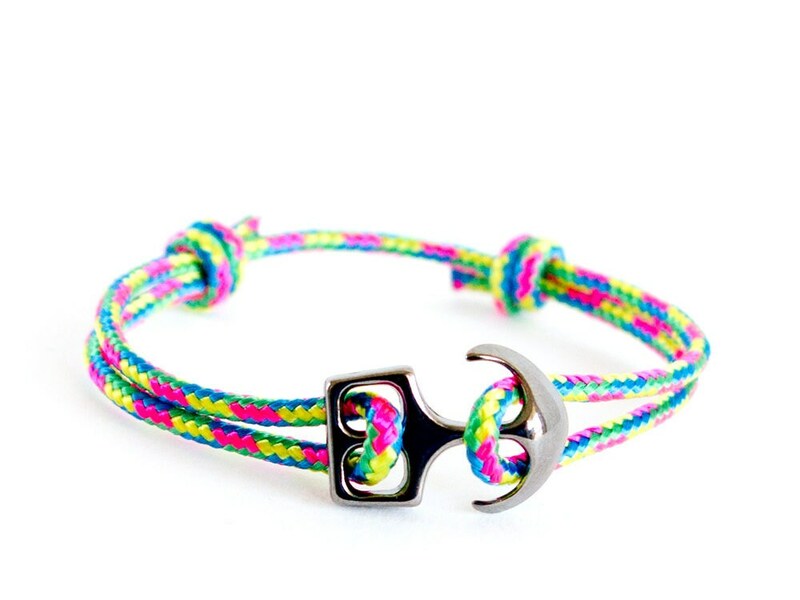 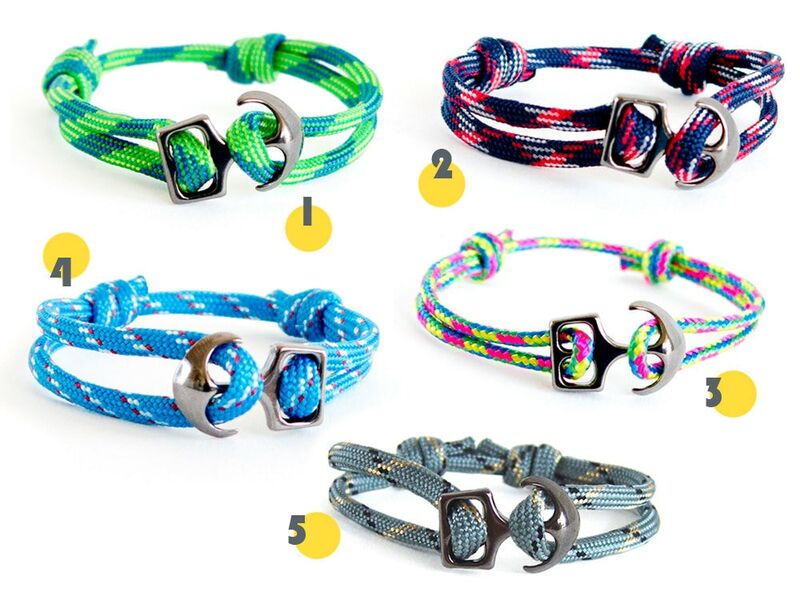 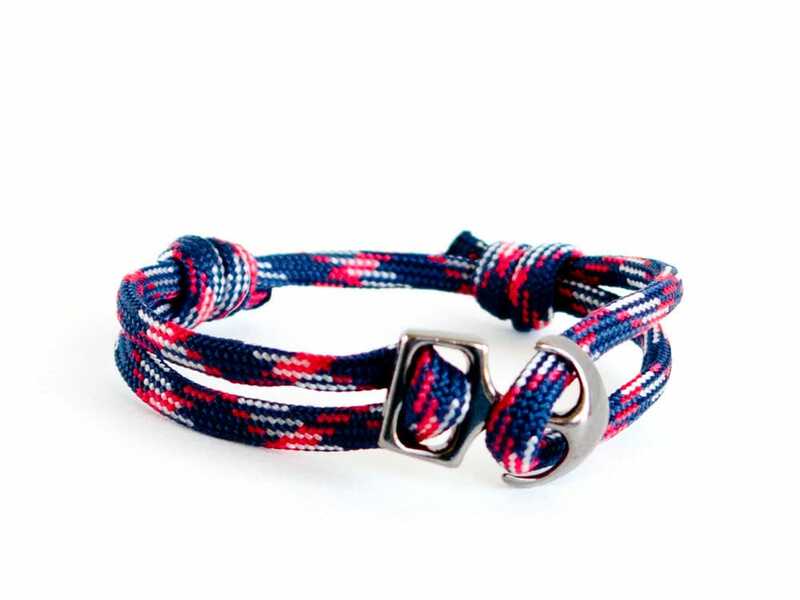 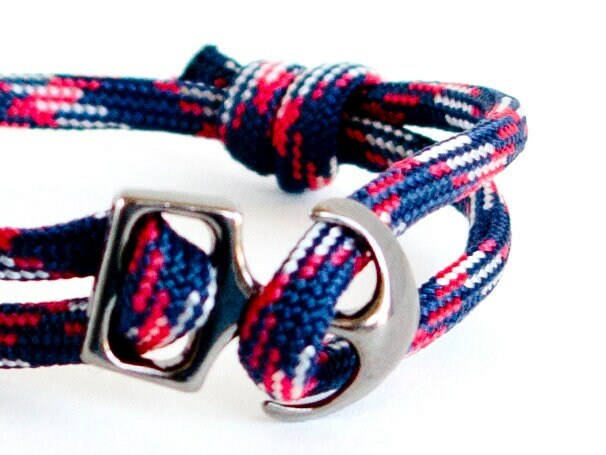 You can use these bracelets as rope string anklets too. 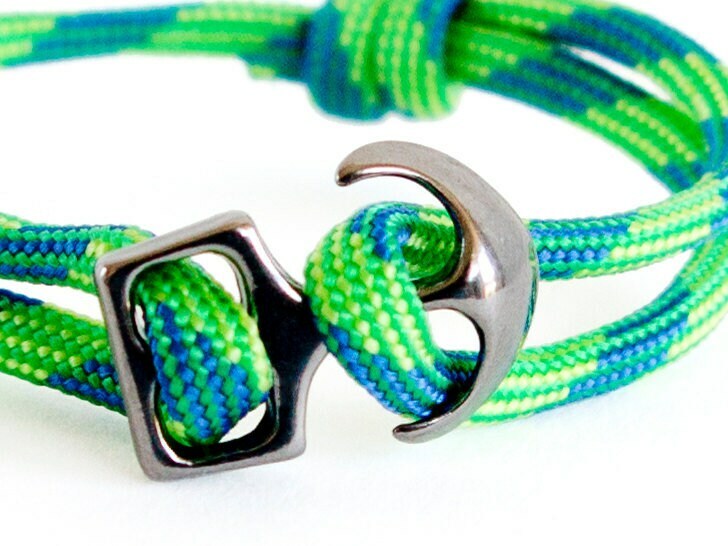 Slide the knots, and you will regulate the length.